The basic ideas among young American film-makers are simple: the big movies we grew up on are either corrupt, obsolete or dead, or are beyond our reach (we can’t get a chance to make Hollywood films)—so we’ll make films of our own, cheap films that we can make in our own way. For some, this is an attempt to break into the “industry”; for others it is a different approach to movies, a view of movies not as a popular art or a mass medium but as an art form to be explored. Much of the movie style of young American film-makers may be explained as a reaction against the banality and luxuriant wastefulness which are so often called the superior “craftsmanship” of Hollywood. In reaction, the young become movie brutalists. They, and many in their audiences, may prefer the rough messiness—the uneven lighting, awkward editing, flat camera work, the undramatic succession of scenes, unexplained actions, and confusion about what, if anything, is going on—because it makes their movies seem so different from Hollywood movies. This inexpensive, inexperienced, untrained look serves as a kind of testimonial to sincerity, poverty, even purity of intentions. It is like the sackcloth of true believers which they wear in moral revulsion against the rich in their fancy garments. The look of poverty is not necessarily a necessity. I once had the experience, as chairman of the jury at an experimental film festival, of getting on the stage in the black silk dress I had carefully mended and ironed for the occasion, to present the check to the prizewinner who came forward in patched, faded dungarees. He got an ovation, of course. I had seen him the night before in a good dark suit, but now he had dressed for his role (deserving artist) as I had dressed for mine (distinguished critic). Although many of the American experimentalists have developed extraordinary kinds of technique, it is no accident that the virtuoso technicians who can apparently do almost anything with drawing board or camera are not taken up as the heroes of youth in the way that brutalists are. Little is heard about Bruce Baillie or Carroll Ballard whose camera skills expose how inept, inefficient, and unimaginative much of Hollywood’s self-praised work is, or about the elegance and grandeur of Jordan Belson’s short abstract films, like Allures, that demonstrate that one man working in a basement can make Hollywood’s vaunted special effects departments look archaic. Craftsmanship and skill don’t, in themselves, have much appeal to youth. Rough work looks in rebellion and sometimes it is: there’s anger and frustration and passion, too, in those scratches and stains and multiple super-impositions that make our eyes swim. The movie brutalists, it’s all too apparent, are hurting our eyes to save our souls. They are basically right, of course, in what they’re against. Aesthetically and morally, disgust with Hollywood’s fabled craftsmanship is long overdue. I say fabled because the “craft” claims of Hollywood, and the notion that the expensiveness of studio-produced movies is necessary for some sort of technical perfection or “finish,” are just hucksterism. The reverse is closer to the truth: it’s becoming almost impossible to produce a decent looking movie in a Hollywood studio. In addition to the corpses of old dramatic ideas (touched up here and there to look cute as if they were alive), big movies carry the dead weight of immobile cameras, all-purpose light, whorehouse decor. The production values are often ludicrously inappropriate to the subject matter, but studio executives, who charge off roughly 30 percent of a film’s budget to studio overhead, are very keen on these production values which they frequently remind us are the hallmark of American movies. In many foreign countries, it is this very luxuriousness that is most envied and admired in American movies: the big cars, the fancy food, the opulent bachelor lairs, the gadget-packed family homes, even the loaded freeways and the noisy big cities. What is not so generally understood is the studio executives’ implicit assumption that this is also what American audiences like. The story may not involve more than a few spies and counterspies, but the wide screen will be filled. The set decorator will pack the sides of the image with fruit and flowers and furniture. When Hollywood cameramen and editors want to show their expertise they imitate the effects of Japanese or European craftsmen and then the result is pointed to with cries of “See, we can do anything in Hollywood.” The principal demonstration of art and ingenuity among these “craftsmen” is likely to be in getting their sons and nephews into the unions and in resisting any attempt to make Hollywood movie-making flexible enough for artists to work there. If there are no cinematographers in modern Hollywood who can be discussed in the same terms as Henri Decae or Raoul Coutard or the late Gianni di Venanzo it’s because the studio methods and the union restrictions and regulations don’t make it possible for talent to function. The talent is strangled in the business bureaucracy, and the best of our cinematographers perform safe, sane academic exercises. If the most that a gifted colorist like Lucien Ballard can hope for is to beautify a John Michael Hayes screenplay—giving an old tart a fresh complexion—why not scratch up the image? The younger generation doesn’t seem much interested in the obstacles to art in Hollywood, however. They don’t much care about why the older directors do what they do or whether some of the most talented young directors in Hollywood like Sam Peckinpah (Ride the High Country, Major Dundee) or Irvin Kershner (The Hoodlum Priest, The Luck of Ginger Coffey, A Fine Madness) will break through and do the work they should be doing. There is little interest in the work of gifted, intelligent men outside the industry like James Blue (The Olive Trees of Justice) or John Korty (The Crazy Quilt) who are attempting to make inexpensive feature-films as honestly and independently as they can. These men (and their films) are not flamboyant; they don’t issue manifestos, and they don’t catch the imagination of youth. Probably, like the students in film courses who often do fresh and lively work, they’re not surprising enough, not different enough. The new film enthusiasts are, when it comes down to it, not any more interested in simple, small, inexpensive pictures than Hollywood is. The workmen’s clothes and crude movie techniques may cry out, “We’re poor and honest. They’re rich and rotten.” But, of course, you can be poor and not so very honest and, although it’s harder to believe, you can even be rich and not so very rotten. What the young seem to be interested in is brutalism. In certain groups, automatic writing with a camera has come to be considered the most creative kind of film-making. Their hero, Jean-Luc Godard—one of the most original talents ever to work in film and one of the most uneven—is not a brutalist at so simple a level, yet he comprises the attitudes of a new generation. Godard is what is meant by a “film-maker.” He works with a small crew and shifts ideas and attitudes from movie to movie and even within movies. While Hollywood producers straddle huge fences trying to figure out where the action is supposed to be—and never find out—Godard is in himself where the action is. There is a disturbing quality in Godard’s work that perhaps helps to explain why the young are drawn to his films and identify with them, and why so many older people call him a “coterie” artist and don’t think his films are important. His characters don’t seem to have any future. They are most alive (and most appealing) just because they don’t conceive of the day after tomorrow; they have no careers, no plans, only fantasies of roles they could play, of careers, thefts, romance, politics, adventure, pleasure, a life like in the movies. Even his world of the future, Alphaville, is, photographically, a documentary of Paris in the present. (All of his films are in that sense documentaries—as were also, and also by necessity, the grade B American gangster films that influenced him.) And even before Alphaville, the people in The Married Woman were already science fiction—so blank and affectless no mad scientist was required to destroy their souls. Here, too, Godard is the symbol, exemplar, and proof. He makes it all seem so effortless, so personal—just one movie after another. Because he is skillful enough (and so incredibly disciplined) that he can make his pictures for under $100,000, and because there is enough of a youthful audience in France to support these pictures, he can do almost anything he wants within those budgetary limits. In this achievement of independence, he is almost alone among movie directors: it is a truly heroic achievement. For a younger generation he is the proof that it is possible to make and go on making films your own way. And yet they don’t seem aware of how rare he is or how hard it is to get in that position. Even if colleges and foundations make it easier than it has ever been, they will need not only talent but toughness to be independent. As Godard has been able to solve the problems of economic freedom, his work now poses the problems of artistic freedom—problems that few artists in the history of movies have been fortunate enough to face. The history of great film directors is a history of economic and political obstacles—of compromises, defeats, despair, even disgrace. Griffith, Eisenstein, Von Stroheim, Von Sternberg, Cocteau, Renoir, Max Ophuls, Orson Welles—they were defeated because they weren’t in a position to do what they wanted to do. If Godard fails, it will be because what he wants to do—which is what he does—isn’t good enough. Maybe he is attempting to escape from freedom when he makes a beautiful work and then, to all appearances, just throws it away. There is a self-destructive urgency in his treatment of themes, a drive toward a quick finish. Even if it’s suicidal for the hero or the work, Godard is impatient for the ending: the mood of his films is that there’s no way for things to work out anyway, something must be done even if it’s disastrous, no action is intolerable. It seems likely that many of the young who don’t wait for others to call them artists but simply announce that they are, don’t have the patience to make art. A student’s idea of a film-maker isn’t someone who has to sit home and study and think and work—as in most of the arts—but go out with friends and shoot. It is a social activity, an extroverted and egotistic image of the genius-creator. It is the Fellini-Guido figure of 81/2, the movie-director as star. Few seem to have noticed that by the time of Juliet of the Spirits he had turned into a professional party-giver. Film-making, carried out the way a lot of kids do it, is like having a party. And their movie “ideas” are frequently staging and shooting a wild, weird party. “Creativity” is a quick route to power and celebrity. The pop singer or composer, the mod designer says of his work, “It’s a creative way to make a living”—meaning it didn’t take a dull lot of study and planning, that he was able to use his own inventiveness or ingenuity or talent to get to the top without much sweat. I heard a young film-maker put it this way to a teen-age art student: “What do you go to lifeclass for? Either you can draw or you can’t. What you should do is have a show. It’s important to get exposure.” One can imagine their faces if they had to listen to those teachers who used to tell us that you had to be able to do things the traditional ways before you earned the right to break loose and do it your way. They simply take short cuts into other art forms or into pop arts where they can “express themselves” now. Like cool Peter Pans, they just take off and fly. 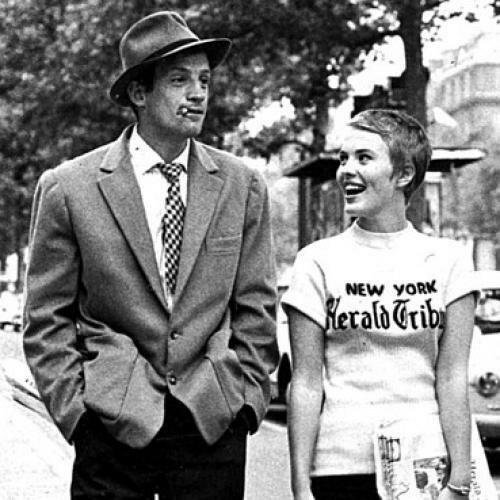 Godard’s conception of technique can be taken as a highly intellectualized rationale for these attitudes. “The ideal for me,” he says, “is to obtain right away what will work—and without retakes. If they are necessary, it falls short of the mark. The immediate is chance. At the same time it is definitive. What I want is the definitive by chance.” Sometimes, almost magically, he seems to get it—as in many scenes of Breathless and Band of Outsiders—but often, as in The Married Woman, he seems to settle for arbitrary effects. And a caricature of this way of talking is common among young American film-makers. Some of them believe that everything they catch on film is definitive, so they do not edit at all. As proof that they do not mar their instinct with pedantry or judgment, they may retain the blank leader to the roll of film. As proof of their creative sincerity they may leave in the blurred shots. Preposterous as much of this seems, it is theoretically not so far from Godard’s way of working. Although his technical control is superb, so complete that one cannot tell improvisation from planning, the ideas and bits of business are often so arbitrary that they appear to be (and probably are) just things that he chanced to think of that day, or that he came across in a book he happened to be reading. At times there is a disarming, an almost ecstatic, innocence about the way he uses quotes as if he had just heard of these beautiful ideas and wanted to share his enthusiasm with the world. After smiling with pleasure as we do when a child discovers the beauty of a leaf or a poem, enabling us to reexperience the wonder of responsiveness, we may sink in spirit right down to incredulity. For this is the rapture with “thoughts” of those whose minds aren’t much sullied by thought. These are “thoughts” without thought: they don’t come out of a line of thought or a process of thinking, they don’t arise from the situation. They’re “inspirations”—bright illuminations from nowhere—and this is what kids who think of themselves as poetic or artistic or creative think ideas are: noble sentiments. They decorate a movie and it is easy for viewers to feel that they give it depth, that if followed, these clues lead to understanding of the work. But if those who follow the clues come out with odd and disjunctive interpretations, this is because the “clues” are not integral to the movie but are clues to what else the artist was involved in while he was making the movie. A few years ago a young man informed me that he was going to “give up” poetry and avant-garde film (which couldn’t have been much of a sacrifice as he hadn’t done anything more than talk about them) and devote himself to writing “art-songs.” I remember asking, “Do you read music?” and not being especially surprised to hear that he didn’t. I knew from other young men that the term “art” used as an adjective meant that they were by-passing even the most rudimentary knowledge in the field. Those who said they were going to make art movies not only didn’t consider it worth their while to go to see ordinary commercial movies, but usually didn’t even know anything much about avant-garde film. I did not pursue the subject of “art-songs” with this young man because it was perfectly clear that he wasn’t going to do anything. But some of the young who say they’re going to make “art movies” are actually beginning to make movies. Kids who can’t write, who have never developed any competence in photography, who have never acted in nor directed a play, see no deterrent to making movies. And although most of the results are bad beyond our wildest fears, as if to destroy all our powers of prediction, a few, even of the most ignorant, pretentious young men and women, are doing some interesting things. Yet why are the Hollywood movies, even the worst overstuffed ones, often easier to sit through than the short experimental ones? Because they have actors and a story. Through what is almost a technological fluke, 16 mm movie cameras give the experimental film-maker greater flexibility than the “professional” 35 mm camera user, but he cannot get adequate synchronous sound. And so the experimentalists, as if to convert this liability into an advantage, have asserted that their partial use of the capabilities of the medium is the true art of the cinema, which is said to be purely visual. But their visual explorations of their states of consciousness (with the usual implicit social protest) get boring, the mind begins to wander, and though this lapse in attention can be explained to us as a new kind of experience, as even the purpose of cinema, our desire to see a movie hasn’t been satisfied. (There are, of course, some young film-makers who are not interested in movies as we ordinarily think of them, but in film as an art-medium like painting or music, and this kind of work must be looked at a different way—without the expectation of story content or meaning.) They probably won’t be able to make satisfying movies until the problems of sound are solved not only technically but in terms of drama, structure, meaning, relevance. It is not an answer to toss on a spoofing semi-synchronous sound track as a number of young film-makers do. It can be funny in a cheap sort of way—as in Robert Downey’s Chafed Elbows where the images and sound are, at least, in the same style; but this isn’t fundamentally different from the way George Axelrod works in Lord Love a Duck or Blake Edwards in What Did You Do in the War, Daddy?, and there’s no special reason to congratulate people for doing underground what is driving us down there. Total satire is opportunistic and easy; what’s difficult is to make a movie about something—without making a fool of yourself. Kenneth Anger did it with Scorpio Rising. Yet few others have taken that wonderful basic precaution of having a subject or of attempting to explore the world. This article originally ran in the September 24, 1966, issue of the magazine.